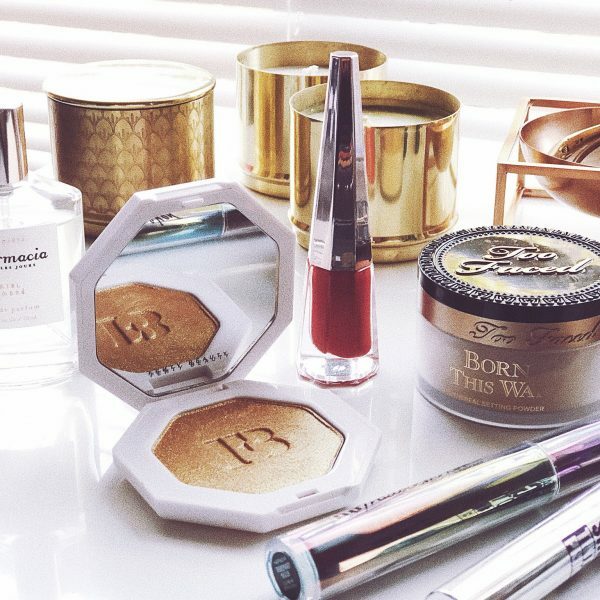 Newsflash makeup lovers, color is in right now! Just scroll through Instagram and you’ll see colorful makeup looks are dominating the beauty industry at the moment. Electric blues, neon pinks, bright yellows, and looks containing every single color of the rainbow. I’m obsessed, the world is obsessed and I’m sure, you too, are obsessed with color right now. But don’t worry! Experimenting with color in your makeup doesn’t have to be expensive. 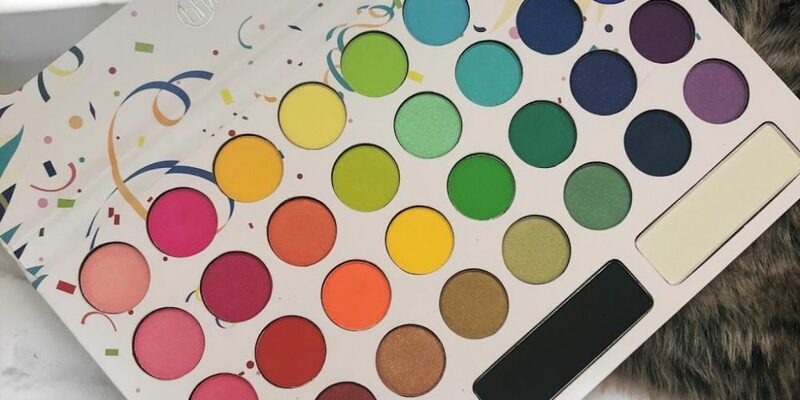 After searching high and low for an eyeshadow palette that was both affordable, and had every bright color I could dream of, I found the BH Cosmetics Take Me Back To Brazil Eyeshadow Palette. Rows and rows of colors all cute and compact in one palette, what more could a girl want? But after playing around with it, is the BH Cosmetics Take Me Back To Brazil Eyeshadow Palette actually worth it..? The Take Me Back To Brazil Palette retails for $18. (But it is on sale often, sometimes as low as $12!). You can buy it on the BH Cosmetics website or at Ulta Beauty stores. 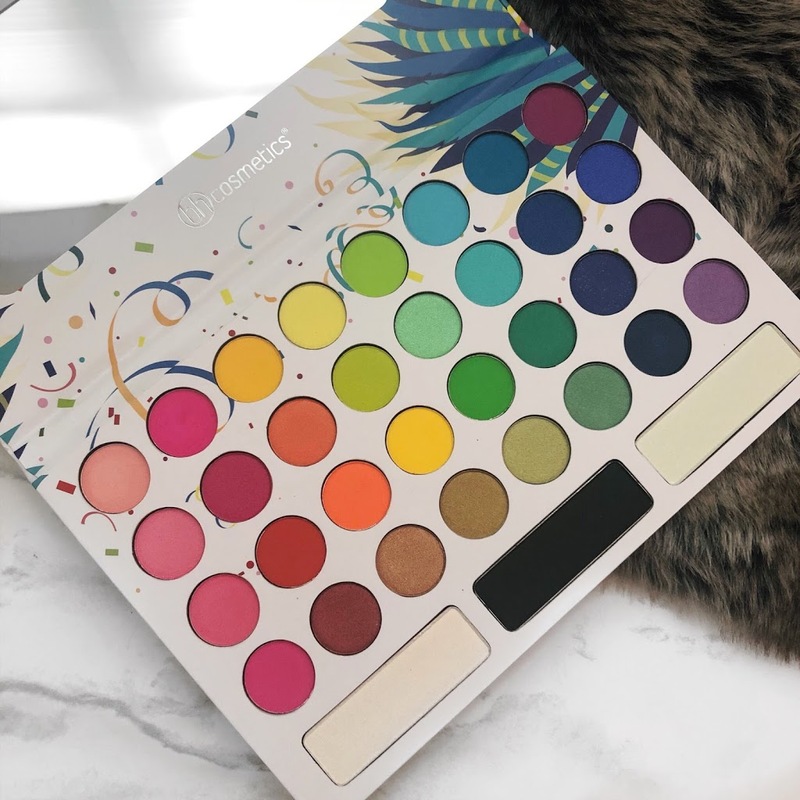 It’s a pressed pigment palette that comes with 35 shades, and includes 1 black and 2 dualchrome transformers, which can be used to enhance and transform the shades in the palette. The shades don’t include names, (bummer), but they are organized by color which does make the palette look a little more aesthetically pleasing. Right off the bat, the variety of shades in this palette is incredible! It comes loaded with shades from each color of the rainbow. Pretty pinks, a siren-y red, bright and fun yellows and oranges, greens like you’ve never seen before, light and dark blues, and some purples too! Most of the colors are bright, some even neon, and there are also a few on the darker side. There’s also a variety of shimmers and mattes, which helps make creating complete colorful looks easy. The shades in the Take Me Back To Brazil palette don’t swatch nearly as well as they perform. When swatched, they appear less pigmented and a little chalky. But on the eyes, they’re bright, pigmented, and blend fairly well, with a little bit of varying fallout. 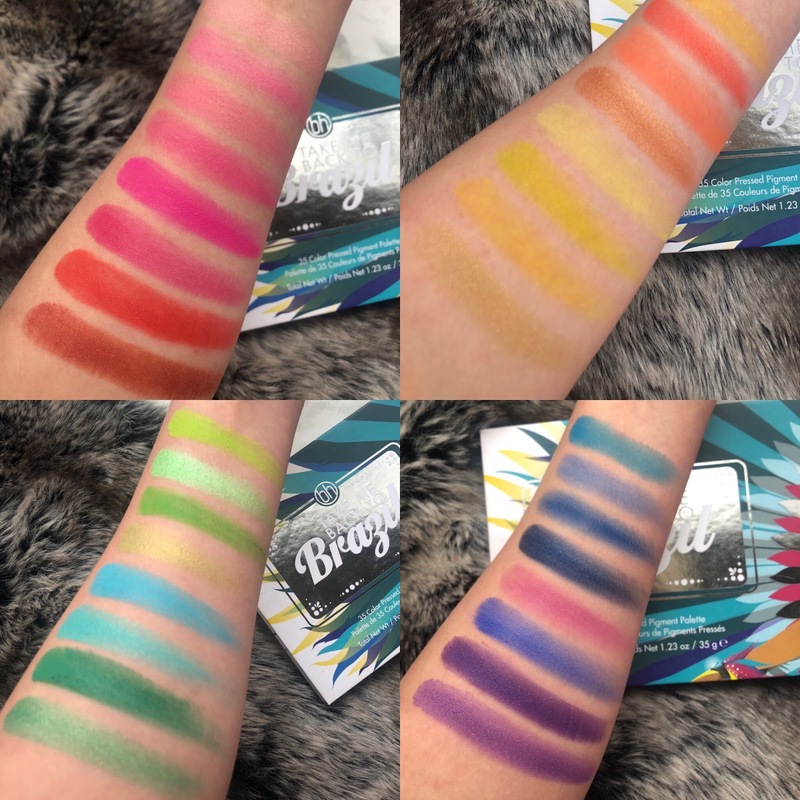 The BH Cosmetics Take Me Back to Brazil Palette is a great palette for someone who wants to play around with and explore more color in their makeup looks without spending too much money. But like with most things in life, it does come with it’s own fair share of cons. The biggest downside of this palette is that there are a few inconsistencies. Some of the shades out-perform, as in, the quality of some of the shades are much better than some of the others. The difference in performance between different shades isn’t huge though, some shades are just much more pigmented and blend better. Yes, oh my god yes. I so very highly recommend the BH Cosmetics Take Me Back To Brazil palette. It’s perfect for beginners who are still familiarizing themselves with using colorful shades. It’s also great for experienced makeup lovers who want to incorporate color into their looks without spending too much money. Some shades require a little extra work as far as blending goes but the final result when using this palette is always beautiful. The price point is also a huge plus. It’s not often you find an eyeshadow palette that includes this many shades, (35 ya’ll, 35), that are all pretty amazing quality, and costs less than $20. Don’t sleep on this palette people. 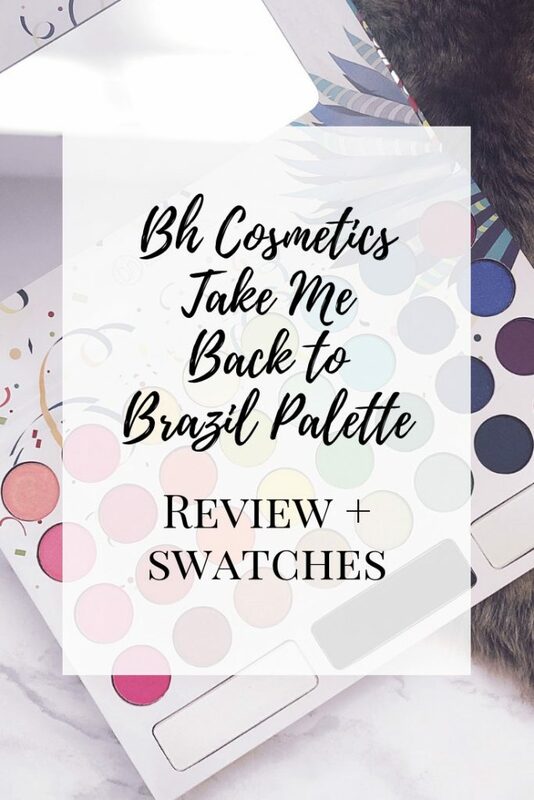 Will you be adding the BH Cosmetics Take Me Back To Brazil Palette to your makeup collection? Have you ever tried it? What are your thoughts? Hey Ali @varietytales here, I'm not big on Eyeshadow but this Palette seems promising. Since you mention it's perfect for beginners, that even better to know. I do like the shades I see and I love the photos you posted. Thank you for your honest review. Great post and keep up the good work! Hope this comment makes it through. Oh My. I think I just might need this. I have been trying to get myself out of my comfort zone and this price is right for sure. Ulta is just down the street. Hmmm. Thanks for sharing! Thanks so much! It really is a great palette, and the price point makes it even better for people who are unsure of or have never used color before! I've been obsessed with color lately! Thanks so much! I highly recommend it! Get outta that comfort zone!